Captain Adam Fitzpatrick’s stunning first-half double set Limerick on their way to an impressive opening-day victory in the new Under-15 National League at UL on Sunday afternoon, although they required further strikes after the break to see off the challenge of Waterford 4-2. AUDIO: Listen to manager Ger Costelloe’s post-match reaction, below. The young Shannonsiders started brightly and they deservedly hit the front just past the quarter-hour when Joey Rushe’s corner was cushioned down for Fitzpatrick whose rising shot from 15-yards went in off the underside of the crossbar. The advantage was doubled on 25 minutes when Limerick forced an error which led to Fitzpatrick picking up possession and from outside the box he unleashed a wonderful strike to the top corner, giving visiting ‘keeper Kyle Shelly no chance. Waterford searched for a response and they looked the most likely in the second half only for Ben Coleman to pop up and make it 3-0 before the hour-mark as his low strike bounced in off the post. However, the visitors were soon back in the back as Kyle Cuddy headed in from a free-kick. And, after Limerick threatened twice, Waterford made it 3-2 with four minutes remaining as skipper Donal Porter looped a header in from Ian Byrne’s corner. But, as they poured forward for a leveller, Limerick took advantage on the break as they got in behind through Ethan O’Sullivan who was taken down in the box, and he dusted himself down to fire in a cool injury-time penalty as Limerick started in style. In heavy rain at the University of Limerick, Ger Costelloe’s side started in determined fashion. On five minutes, good interplay between Wassiou Ayawe and Coleman presented the latter with the opportunity to cross and he found Dean McNamara at the back post but his shot was blocked. The lead goal arrived on 16 minutes when Rushe delivered a corner from the left to the back where the ball was neatly laid into the path of Fitzpatrick who struck to the net from just inside the box, the ball going in off the woodwork. Midway through the half, Adam Brennan found space outside the box but his well-struck effort dipped into the arms of the ‘keeper. Soon, though, it was 2-0 as Limerick pressed for possession and when it broke to Fitzpatrick 25-yards out he sent an unstoppable shot to the top corner. Limerick were full value for their two-goal lead at the interval, but after the restart Waterford set about finding a way back into the game. 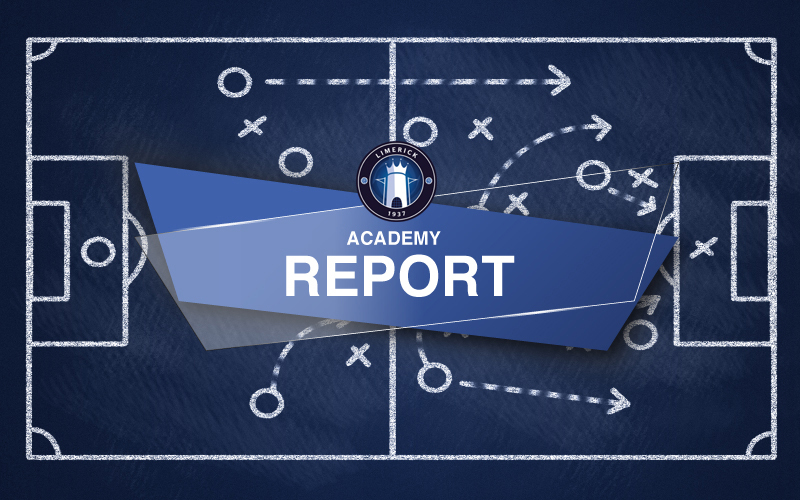 Then, slightly against the run of play, the young Blues extended their lead to three on 56 minutes when Coleman cut in from the right and from the 18-yard line fired a well-placed shot in off the upright. Limerick went close to a fourth on the hour as Rushe delivered a corner onto the head of O’Sullivan but his effort was cleared off the line. Then Waterford’s Porter headed narrowly wide from ten-yards, before Waterford netted on 64 minutes when Cuddy got on the end of a free-kick to glance past Seán Hamm from close in. The Shannonsiders continued to be a threat on the break and after Coleman raided down the right he sent in a low cross for Ronan Geary whose diving header went just off target. Geary then turned provider from the same avenue but, slightly off-balance, substitute Filip Mostowy could not get a firm connection at the back post. 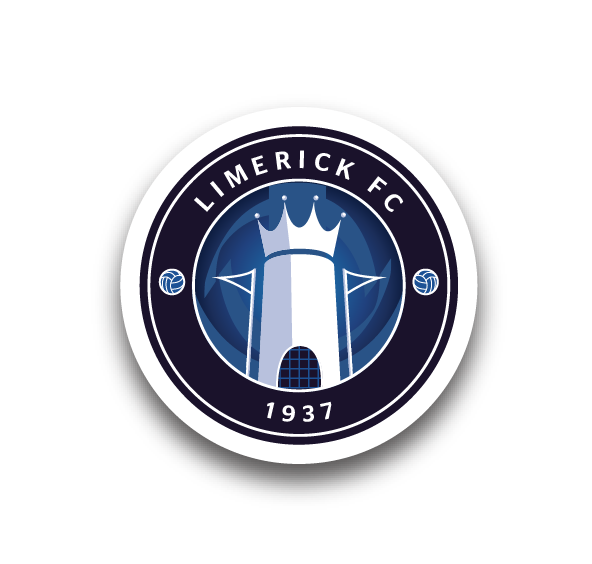 Limerick were made to endure a nervy end when Byrne’s corner was met by a looping header from Porter which found the net four minutes from time. But as they pressed for an equaliser, they were caught on the break deep in injury-time when O’Sullivan was taken down and he stood up to plant the ball in the bottom corner, to seal an impressive opening to the campaign. 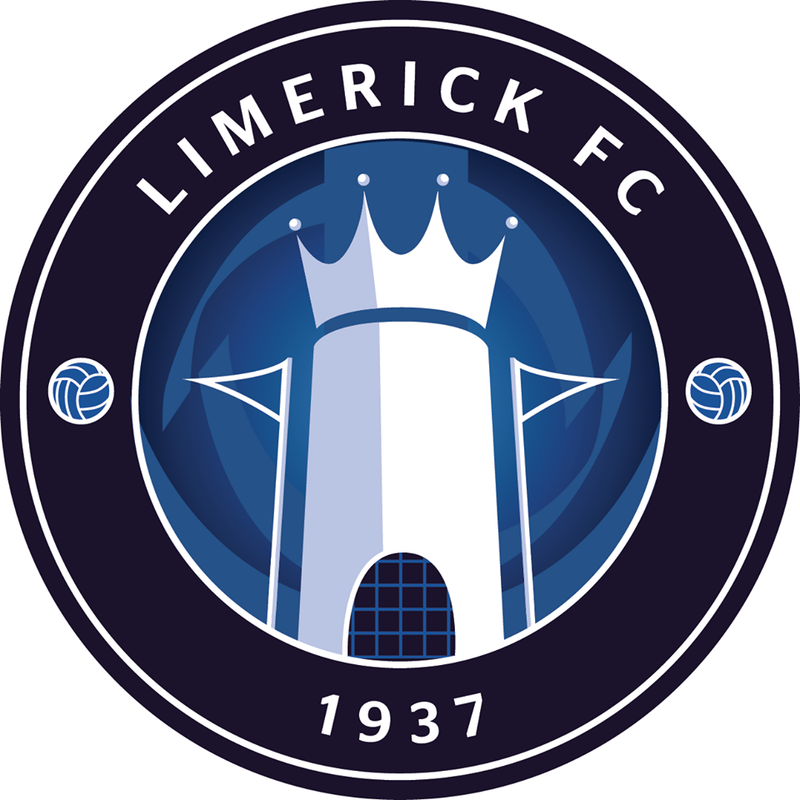 Limerick: Seán Hamm, Ronan Geary, Scott Kirwan, Riain O’Connell, Joey Rushe, Ben Coleman, Adam Fitzpatrick ©, Wassiou Ayawe (Andrei Haxhiaj 65), Dean McNamara, Adam Brennan (Filip Mostowy 62), Ethan O’Sullivan. Goals: A Fitzpatrick (16, 25), B Coleman (56), E O’Sullivan (80+3 pen). Booked: None. Unused Subs: Oisín Enright, Michael Molloy, Josh Quinlivan, James Griffin. Waterford: Kyle Shelly, Killian Griffin, Donal Porter ©, Ethan Flynn, Tega Agberhiere, Robert Bulmer, Sam Morrissey, Abel Alabi, Cian Browne, Scott Delahunty, Kyle Cuddy. Goals: K Cuddy (64), D Porter (76). Booked: E Flynn (10). Bench: Jack Deegan, Ian Byrne, Dean Larkin, Raveli Kilonda, Seán Maher, Charlie Binions.